Clinique Fans, if you are eyeing on Clinique Nordstrom Anniversary Exclusives, it’s Clinique bonus time now! Score free 7pc Clinique bonus + more from Nordstrom. Allure Beauty Thrills box is available now. Three times per year and their August box contains 23 items worth $305+. 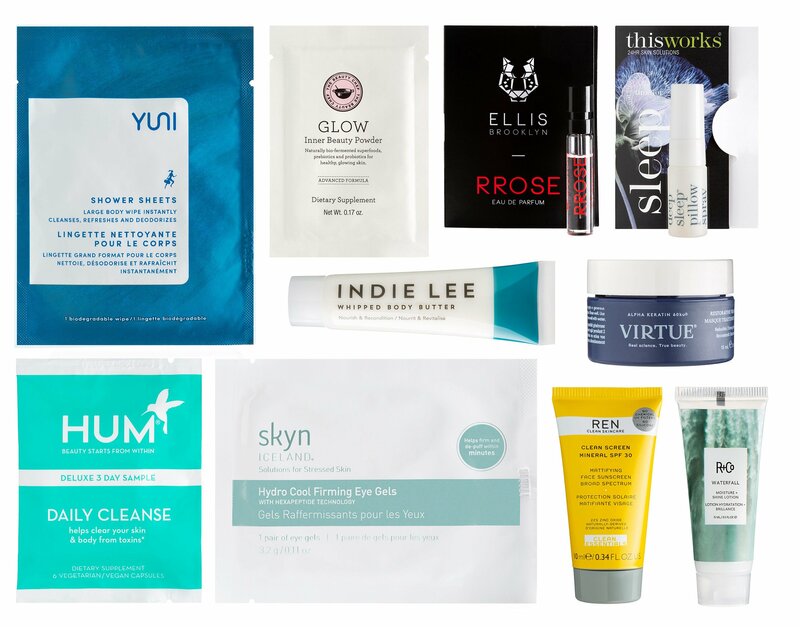 Finally, there’s a sale event at Cult Beauty + freebies! First time ever: (NEW) Receive three single-use Egg Cream Microfiber Sheet Masks—Hydration, Firming and Pore Tightening—with your $50 Too Cool For School purchase. A $17 value. Allure Beauty Thrills (NEW) August Allure Beauty Thrills is available now $59.99 ($49.99 + $10 shipping). This one time purchase box worth $305+ and contain 23 pieces of beauty and wellness items. The next box will be their winter December box. $4 from each purchase will be donated to Cancer + Careers. What’s in Allure Beauty Thrills August box 2017? See my unboxing and mini review post here for my previous box from Allure Beauty Thrills. Cult Beauty UK (NEW) Cult Beauty Sale has begun. Over 200 items are on sale from Korean beauty brands like Besame, 3 Concept Eyes, or W3LL people, Jouer, Morphes, Pixi, Elemis, By Terry or Charlotte Tilbury. You can grab this makeup + get free shipping too! Brand of the month: free shipping on any Tata Harper purchase. Non-EU shopper will get ~ 17% off the listed price! You may try promo code YOU15 to get 15% off too (when you sign up to their newsletter). With any £40 order, receive 2 free samples at checkout. Standard Delivery is FREE worldwide on all orders over £50.